October Newsletter – Read and Subscribe! Check out our latest newsletter here. 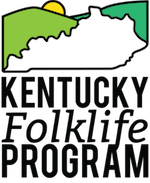 Highlights from the newsletter: KFP's upcoming Hammer-In to take place this Saturday at the Kentucky Museum KFP's Log Cabin Old-Time Jam to be held on October 27th from 7-9pm KFP featured in the Journal of Folklore and Education Updates on the Kentucky Museum exhibition Standing the Test of Time: … Continue reading October Newsletter – Read and Subscribe! Sign up for our new e-mail newsletter! Subscribers can look forward to check-ins from the field, news about ongoing projects, and event announcements. To sign up, please enter your contact information in the form provided here.